On Father’s Day, dads want to spend time with their family enjoying their favorite activities. Afternoons at the ballpark, local car shows, music festivals, a round of golf, are some favorites. Don’t stress over buying dad something; (he doesn’t need another tie) create a memorable Father’s Day with him instead. After spending the day together, dad would love nothing more than to relax on the patio with a cold beer and fire up the Weber grill. 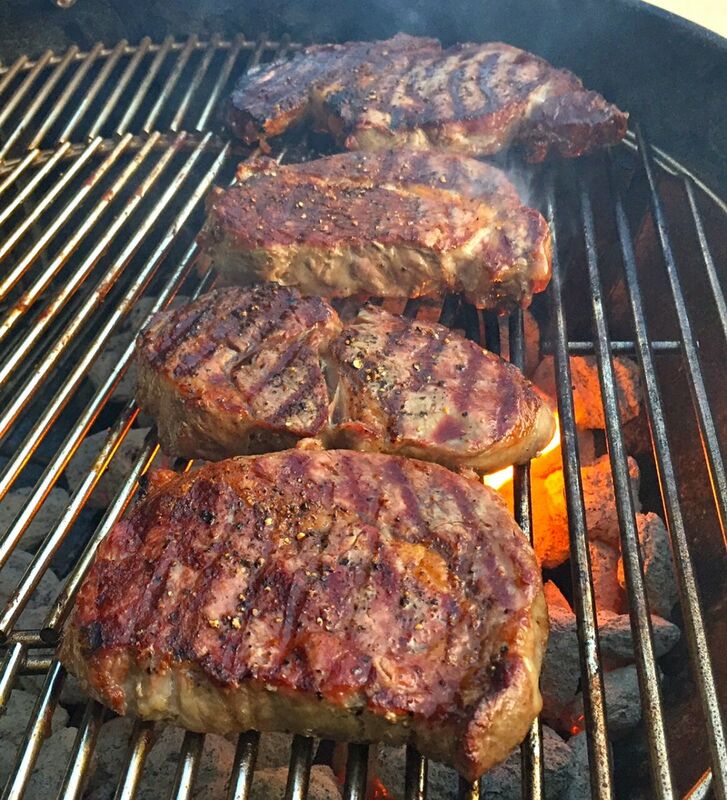 Dads really enjoy grilling for the family on their “special day.” The most popular item thrown on the grill that day is steak!! What Dad doesn’t enjoy a perfectly seasoned, and grilled steak?? Some of the best cuts include, Porterhouse, Ribeye, and N.Y. Strip. 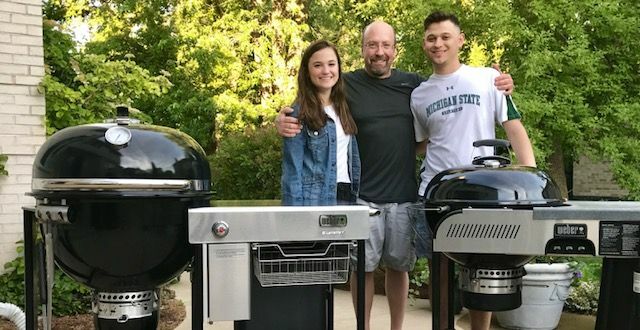 That’s why Father’s Day is one of the biggest grilling days of the year. Being a father of twins has made fatherhood extremely gratifying to me. As a father you always want to protect your kids from harm and teach them right from wrong. In our house, I am also teaching my kids how to grill on a Weber. This is a life skill they will always remember learning from me… Dad! 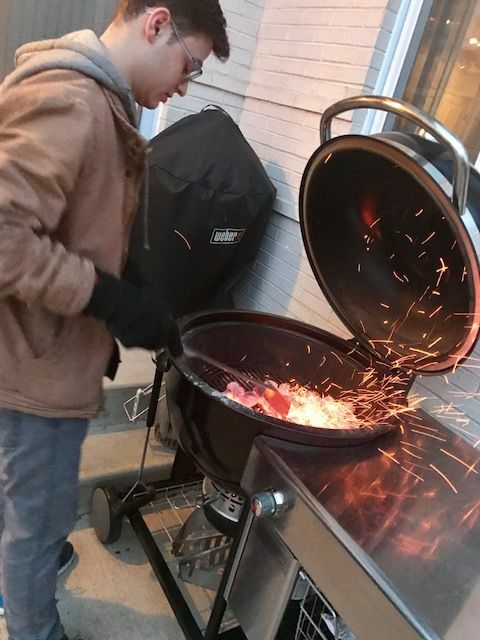 I have taught my kids how to grill safely and properly while still having fun. Having a butcher as a dad, my kids have always been exposed to a variety of meats and seafood. They have had the opportunity to learn about all the different cuts of meats and grilling methods. They have also learned you can grill more than just meat, as we have grilled everything from breakfast to desserts. Teaching your kids how to grill will open up the food world to them. It will teach them about meat, seafood, vegetables, spices, and even fruit! They will learn how to be more independent by cooking their own food. It’s also important to teach them about creativity and experimenting with different flavors and textures. Teaching them about to proper food storage at the appropriate temperature is also important. They even learn patience… as you cannot rush barbecue! One day I plan on passing the torch (and my Weber grills) to my kids, so they can take over and create their own memories around the grill.